Former Mayor of Tramore Joe Conway has put his name forward as an independent candidate in Waterford. Conway, who is a teacher and former INTO Spokesperson, has been active in local politics since 2004 when he was elected to Tramore Town Council. 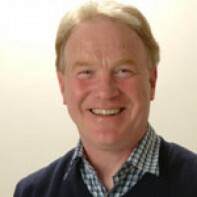 Although he missed out on a seat on Waterford County Council on that particular occasion, he managed to win a seat on the body in June 2009. Conway was Student Union President in St. Pat's, Drumcondra, during his final year at the college.